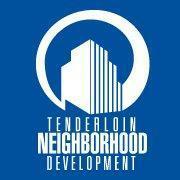 About Tenderloin Neighborhood Development Corp. The Tenderloin Neighborhood Development Corporation (TNDC) provides affordable housing and services for over 3,600 low-income residents in 6 San Francisco neighborhoods, building community and promoting equitable access to opportunity and resources. Founded in 1981 by a few people in the Tenderloin District of San Francisco, TNDC now has 33 properties in its property portfolio and employs 319 people, some who live in TNDC affordable housing buildings. In addition to housing development, TNDC focuses on community organizing, urban food growth and land use, and its after-school program with the idea that everyone should have good quality housing and good quality of life in the city they love. This year, TNDC celebrates its 35th birthday!